Yesterday I arrived home at about 11pm from a day in London. One of my community was still up, and commented that I looked tired. Yes, I said, with a weary smile, I am tired; I'm happy tired. It had been a long, full day, rich in relationships. I'd spent much of the daytime on my spiritual direction course, which is due to end in a fortnight's time. As a group we've supported each other, learnt and grown together, and in a few weeks' time we will no longer have the constancy of the course to keep us in touch. The mood during our lunch break was light-hearted, almost demob-happy, though charged with this awareness of imminent endings. The activity and sharing in our afternoon session provided a welcome space for prayer and an opportunity for mining a rich seam of gratitude - it was all good. 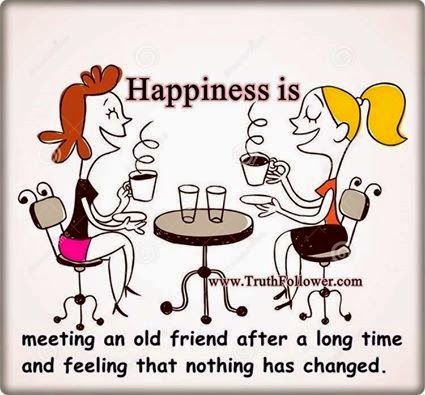 Then after the course I went to meet a good friend, who - because of various changes - I hadn't seen or spoken to for several months, having previously seen each other very regularly. In the space of a few hours we did more than catch up: we laughed and chatted, prayed together and discussed deep and serious stuff, moving easily and naturally from one to the other, as we were easy and natural in each other's company. So yes, after such a day, I was indeed happy tired.